Spectaculator – The Best ZX Spectrum Emulator? Are you looking for a ZX Spectrum emulator? If so, then Spectaculator may be just what you need. Well, if you’re looking for an emulator that runs on PC and Mobile specifically, there is a good chance that Spectaculator is it. Yes, but is it free? Let’s start with the nitty-gritty, Spectaculator is a paid product. Where many, if not most emulators are free, it is a hard proposition these days to charge for an emulator. But the value with Spectaculator is in its simplicity and functionality. The good news is, the PC version has a 30 day free trial period which gives you plenty long enough to establish whether you want to jump in and pay for a full licence. Pricing for the PC version is at the time of writing is set at £9.99 / 11.99€ / 15.99USD. The Android and iOS versions are both priced £2.49 / 2.99€ / 2.99USD. Loading a game into the emulator is really straight forward. 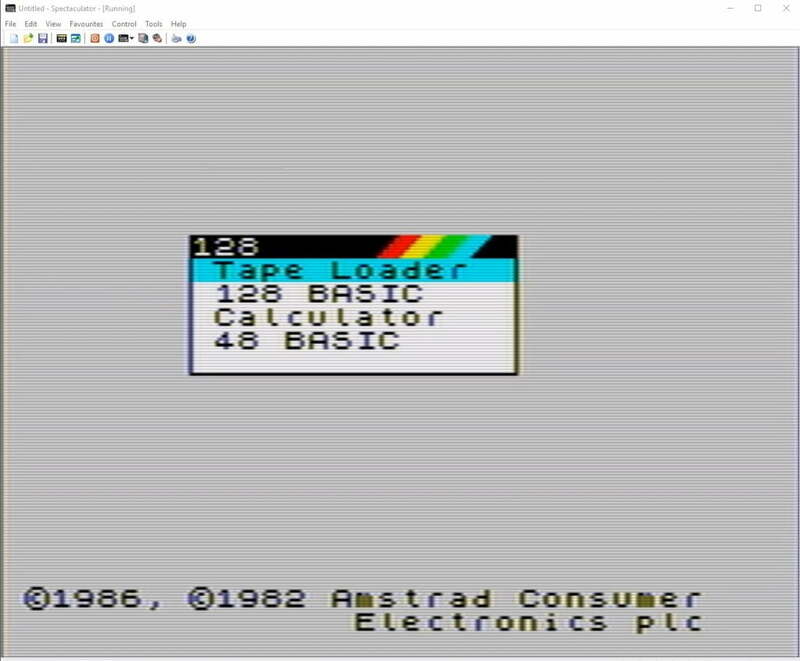 Get a tape file image and either drag and drop it into Spectaculator, or click open via the menu system. That’s really all there is to it! The only thing you’ll need to do is ensure you have the correct machine selected for emulation. Spectaculator will emulate all of the classic Spectrum machines from the 16k ZX Spectrum, through to the Spectrum +3. It also emulates Spectrum clones including the Russian made ‘Pentagon’. Is it hard to configure? One of the things I really like about Spectaculator is the really simple controller set up process. Basically, there isn’t one! I’m using an Xbox One controller on my PC connected via Bluetooth. This was immediately recognised and set as my default joystick (this defaulted to Sinclair Joystick 1). You can easily modify the settings to be changed to Kempston joystick emulation, etc in the settings. There are also some nice built-in display filter options. Blowing up the Spectrum’s graphics to a full HD or 4K display is going to make things look pixelated. So, why not round off the overly sharp edges by applying scan lines, pixel smoothing and an RF display connection for more authenticity! Spectaculator with an Old School RF Filter Applied! There are a wealth of options that will cater for even the most demanding Spectrum user. Microdrives, printers, multiple disk drives in +3 mode, enhanced sound chip emulation and multiface emulation, there is lots to experiment with! For me, Spectaculator really does shine with it’s straightforward to use approach. Other emulators such as FUSE, whilst are also excellent choices, I found Spectaculator the one that got me up and running with minimal fuss. If you don’t mind the configuration settings and messing about with Retroarch (Which I must emphasise is excellent!) and want to get straight into playing some old classics, we rate Spectaculator highly. So, is Spectaculator the best ZX Spectrum emulator available? In terms of it being a standalone emulator which is so accessible that anybody can jump straight in, then yes, it absolutely is. Visit http://www.spectaculator.com, and download to give the PC version try! Alternatively, you can visit check out the Android version on the Google Play Store, or the iOS version on the App Store.